This was a totally unorganized trip. We didn’t know where we would go, we only knew we were to begin at San Luis, a place we’ve been before. We just picked the car and drove the 800 kilometers (500 miles) to San Luis, the capital city of the province of the same name. We’ve been there when we were teenagers, practically as hitch-hikers. We knew good places there, and we wanted to come back and do some “pending work”. 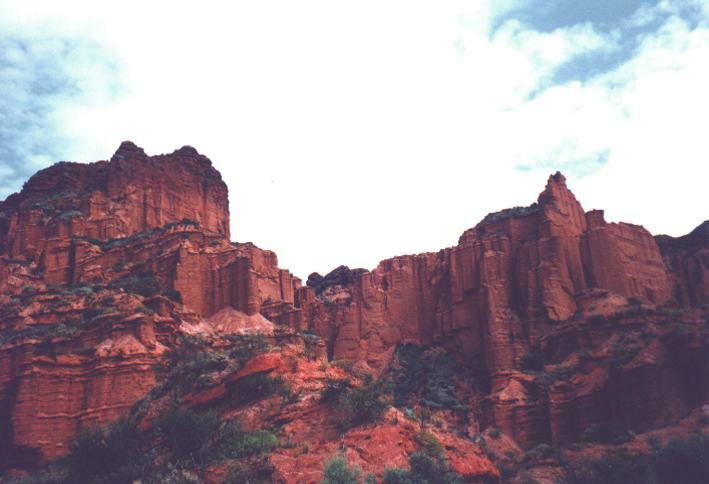 The first of them was a place called “Sierra de las Quijadas”, an unbelievable landscape of rocks modelled by water, the water of an ocean long time gone. The place is also a good resource to look for dinousar traces, put in evidence after the geological changes. You can’t reach Sierra de las Quijadas if not by car; when we reached there we found a guide who took us to the very heart of the place and explained a lot of things to us. He was a young and passionate man; later we discovered that such job was chosen by himself: he was not working for the government or a touristic establishment. He told us he was one of a very fruitful university year, and the rest of his colleagues were in different parts of San Luis, doing the same job. He brought geologists, historians, experts on dinosaurs and paleontology, everything was built up by himself, because the government didn’t believe on Sierra de las Quijadas. Now that the place is working big time, the government wants to take it out from him, with laws and the like. He is resisting, stoically. We found that situation in other places in San Luis: all those young people were doing an excellent job. For example, there’s an old gold mine town, Carolina. It’s an abandoned place now, when nobody is working in the mines. 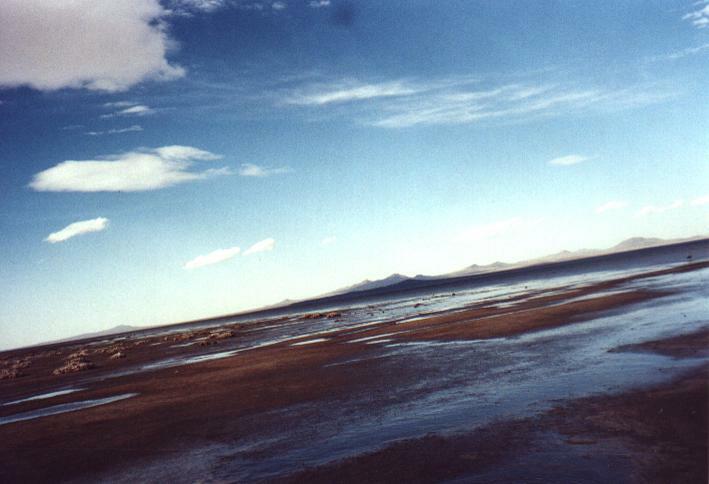 Some fourteen years ago, when we were there for the first time, there was nothing interesting to see. Now ther are guides, they take you inside the mines, they explain everything to you. It’s fantastic. There’s an old indian cave at Inti Huasi where the same is happening. In the city of San Luis, in change, there are no attractions. 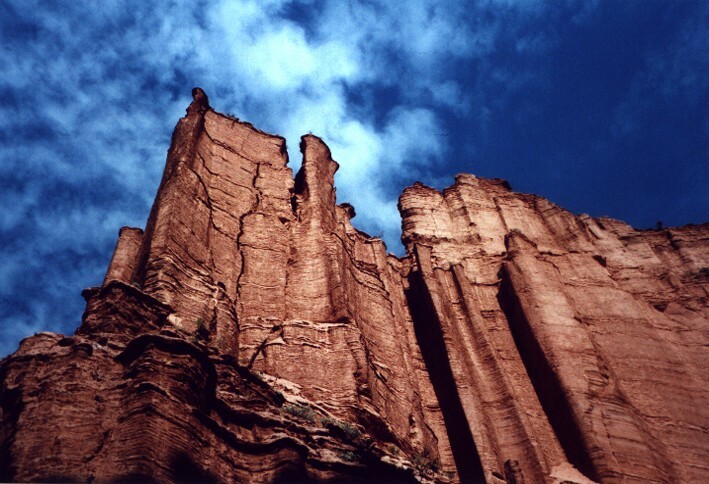 We wanted to go to a famous place called Ischigualasto, also known as “the moon valley”, but they told us we wouldn’t find anything too different to Sierra de las Quijadas, so we faced south, to the Mendoza province. The first place we found was San Rafael, famous because of its vineyards. We weren’t interested on them, but there were some interesting landscapes outside the city. We found a cosy place of lovely cottages by the Atuel river. There was a lake near, and we did all sorts of activities: we rode horses up to a mountain, we rafted in the river (not too dangerous), we rowed with a boat through a lagoon to a rather wild place, we walked there until we found an intern lake, where we had to swim to cross it. We had also to climb a rock wall in our way, a new chance to defeat my vertigo, up while going, down while coming back. Well into the landscape, as I say. We ate a wonderful goat in the place where we were staying. There was a dam near, and everything was peace and nature. A place, perhaps, to rest from the noise of the city, for years. But we had to follow on. We were told that to the South there was a place called El Sosneado where you could find a guy who would take you to a vulcano of the same name, in a trip to the Andes, walking for three days. We headed there, but the guy wasn’t at home. He took other people to see the debris of the plane that fell in the Andes so many years ago, that inspired the movie “Alive!”. Many people come here to do that. He would come back in three days; we decided not to wait. Near there was Malargüe, known also as “The Capital City of the Adventure Sport”, so we asked if there was something interesting there to see. We were told “no”, categorically. We had no chance to return to a place where to sleep, so we drove to Malargüe for a hotel. As the sun was still shining, we decided to go for something interesting around, and we asked in the city for information. 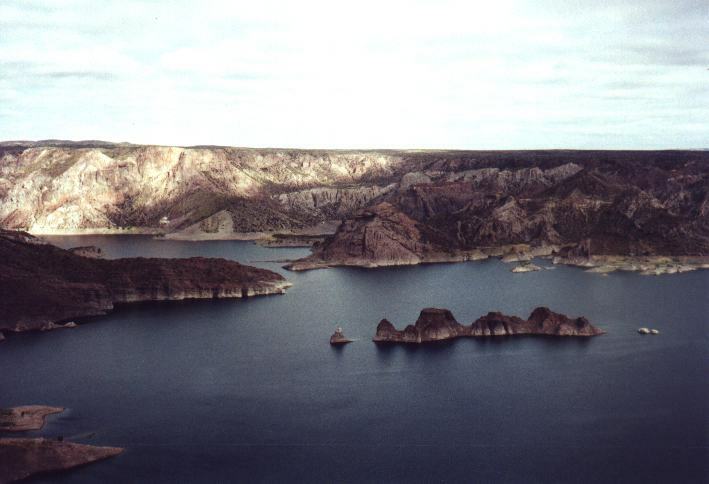 They pointed two places: the Llancanelo lake, and the Witches Cavern. We had seen a lot of caves in Europe, so we decided to go for the lake. The lake it was supposed to be the target place for migratory birds coming from the Northern Hemisphere. “It’s full of rare birds”, we were told. We drove miles and miles of horrible gravel, and finally we got to see the lake. It was huge, much more than the sight could embrace. But there were no birds, and no one to point out anything, to explain anything. We were terribly dissapointed, after all the ungrateful travelling. We came back to the city, and went to a tourism shop. A guy there told us that we got to go there with a guide, not alone. We came back to a hotel, after arranging with the guy that before departing the next day we would go with him to the cave. Just to do something. Next morning, we were at the entrance of the cavern, five kilometers long. We were surprised: it was nothing like in Europe, where a cavern it’s lit by strategically placed spotlights of several colours, and you walk in a wooden path. Here you had to enter in the cave at your own risk. The first passage was a narrow hole where you had to crawl and creep through a tunnel to reach the other side. Not for the fat, old or claustrophobic. Half of the people deserted. 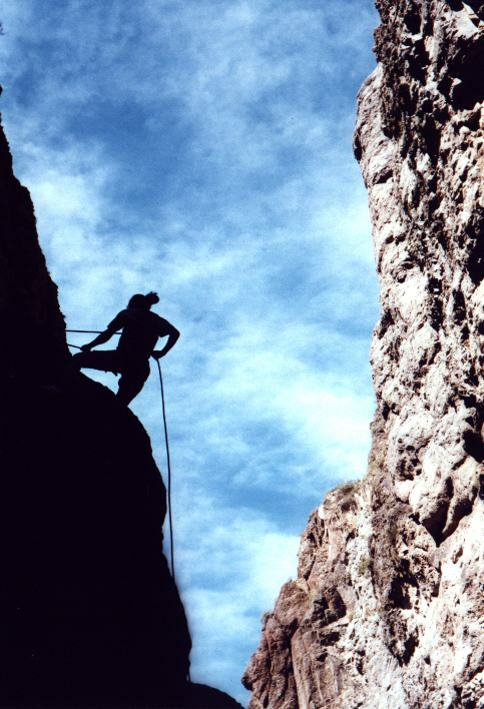 Even a German who went to Mendoza for climbing mountains didn’t want to continue. After that, to descend using a rope into a dark place. 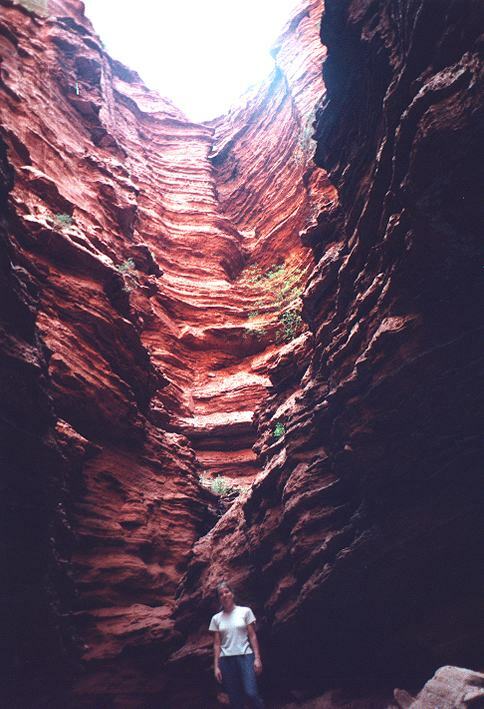 I liked the idea of knowing the heart of a cavern as a regular man, not as a tourist. No light, only the dim light of your helmet. We got to know really wonderful places, not to be captured by a photo camera. We liked the guide, and we asked him if he knew some other place around. 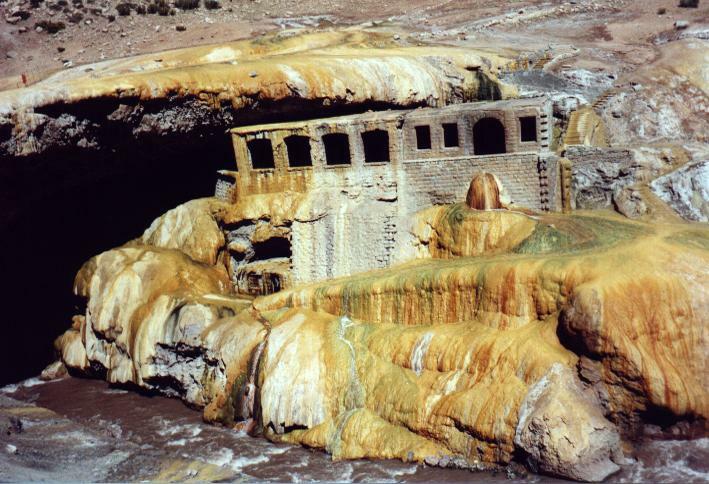 He spoke about a place in the Andes where there were natural hot spring baths. Also about a volcanic complex. We went to both places. The volcanic place was incredible, I have never seen a place like that. We crossed a river running between lava walls. We reached a kind of desert, but instead of sand there were grains of lava. You could look around and everything was black. 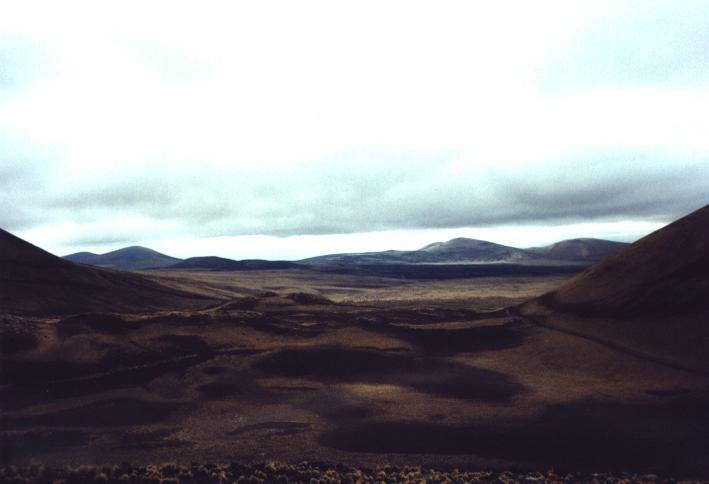 Instead of dunes there were small volcanos. La Payunia is one of the three most populated places in the world, in terms of volcanos. 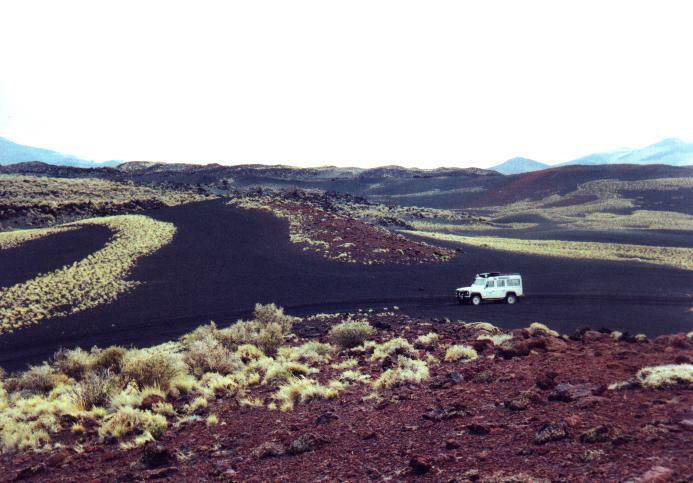 We felt like we were in Mars: no vegetation, but some raw yellow grass, with an impressing contrast with the black sand. No rocks, except the big lava bombs, as if they were frozen drops of red iron in the ground. The whole place was totally different to anything I had seen before. And I thought that in San Rafael they told us there was nothing to see here! Even more, I thought that noone ever mentioned a place like this, and Malargüe is known by the cave, rather than this place. Few people go there, the guide told me. 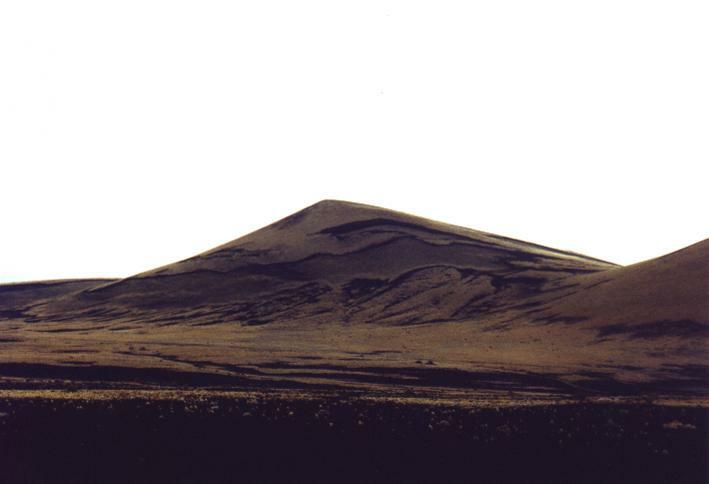 And of course, I thought, if noone ever talks about this… A month ago (2003), I read that a kind of thematic park about volcanos will be built in Malargüe. Perhaps it was better when it was unknown. We came back through a different road that took us to the Llancanelo lake, but this time we climbed an old and big volcano to see the lake from above. It was really huge, even from above it was difficult to embrace with the eyes. 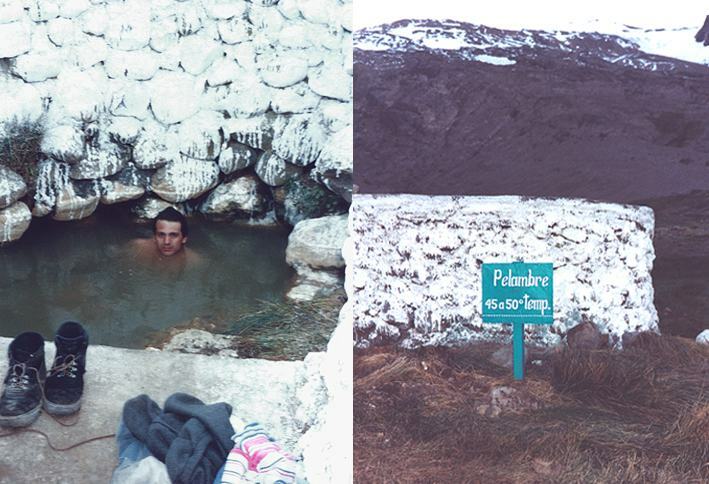 Next two days we drove into the Andes to meet the hot baths. The road was lovely, full of green rivers and snowed mountains. The weather was also with us. Instead of sand, in the banks of the river there was ash. We reached the place. The baths were holes digged in the ground, in the very heart of the Andes, surrounded by tall mountains and a big volcano, with some activity: a constant smoke was coming out from it. We naturally wanted to climb it, but it was too late. We climbed a different mountain instead. The guide decided to stay, while we ran up the first slopes. We ran out of air, so we took it easy. 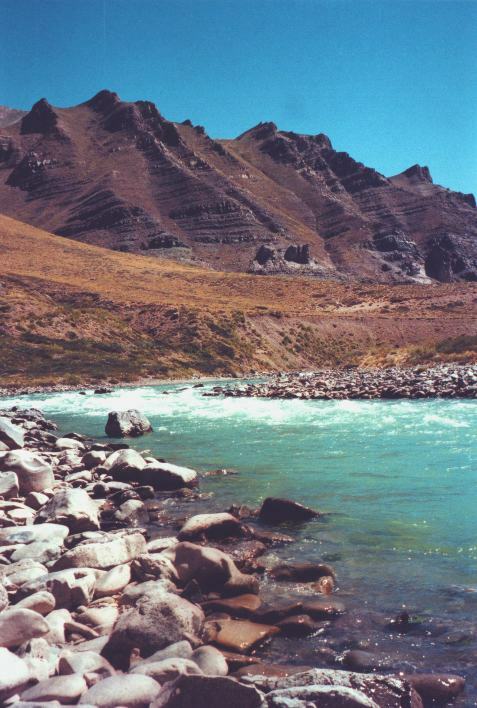 The rivers around us were each coloured differently: some were blue, green, magenta, lilac, yellow, even white, like milk. The several minerals give the colour to the water. 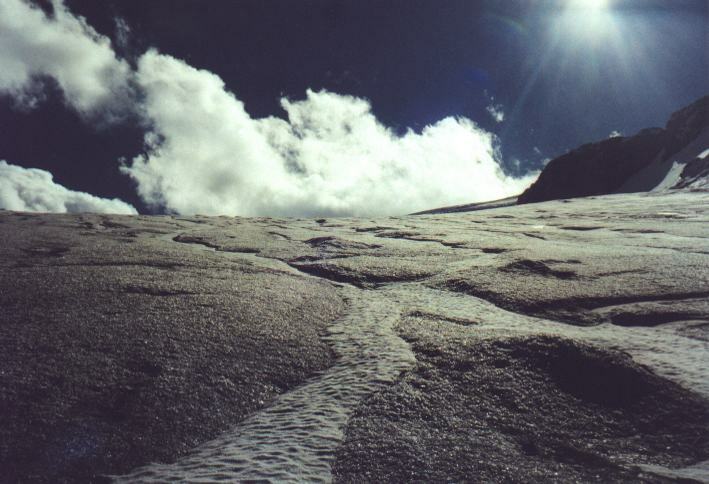 We reached the top, out of breath, where we met a full glacier. 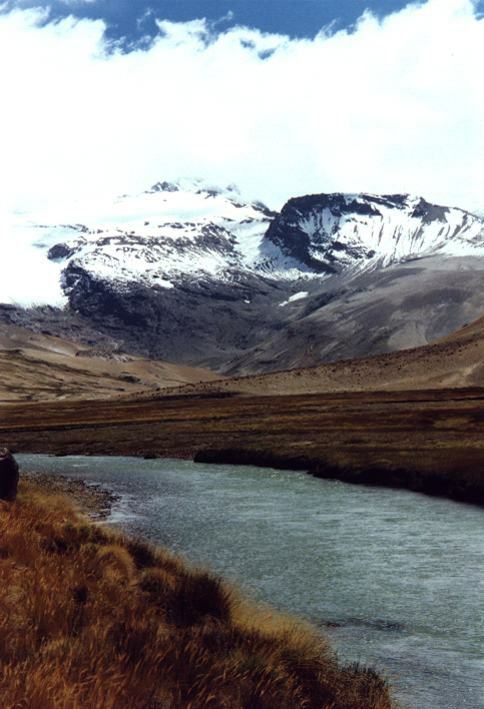 We saw the very birth of a river, where the ice melts down and turns into powerful spring of water. We saw the sun reflected in the bubble-like ice. We saw the surrounding mountains. We were in a unique place, and we thanked our luck. To go down wasn’t easy, it was easier to go up. The rocks were loose, and we were about to fall in more than one occasion. We had to be very careful. Tired, I went for the baths. I chose the hottest: it was called “El Pelambre”, untranslatable expression to mean something really hot. 45 or 50 Celsius degree (122 Fahrenheit), and I was at home inside that water. I stayed there for a long time, feeling the water coming and going on warm bubbles. We ate a delicious, just killed lamb, and went to sleep. On the next day we couldn’t get to the top of the volcano, because we were told it would take two days, and not everyone was ready to accomplish such a trip. So we came back to Malargüe, and we said good bye to the nice people we met there. 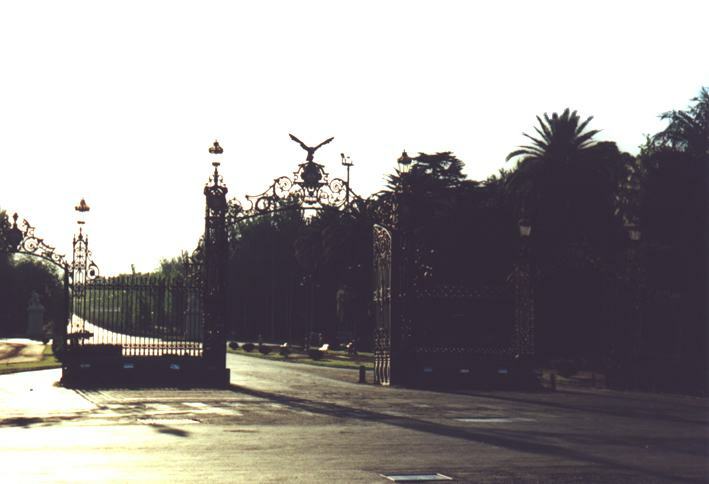 Next target: the capital city of Mendoza. 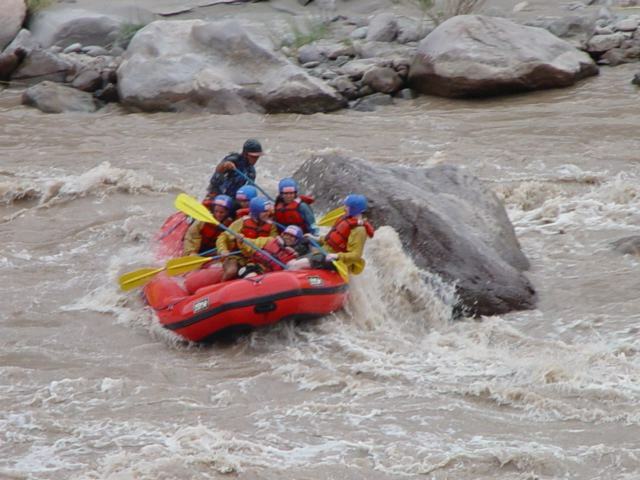 There’s a place famous because of the rapids to go rafting. We naturally went there: Potrerillos. The Mendoza river runs fast there, and soon we were rowing and fighting against the water. 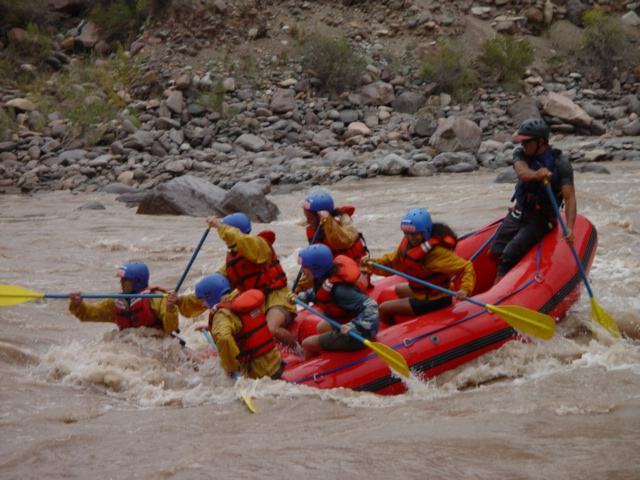 The rapids were very funny, and so the people doing it with us. Nothing to be compared with that poor experience in the Atuel the week before. As usual, many Scandinavian people were there to try the thing, and they fell in the water many times. Finally we went to the city, and Mendoza is friendly and clean. We felt almost at home: probably it’s the only place I would move to from Buenos Aires, in case I am forced to. The people is also nice, and they have many parks and a rather high nightly activity. We went to the main park, and the many trees there kind of absorb all of what is dirty and filthy on the city. It was complex to get a hotel, as too many tourists come from Chile, now that our currency is lower than theirs. 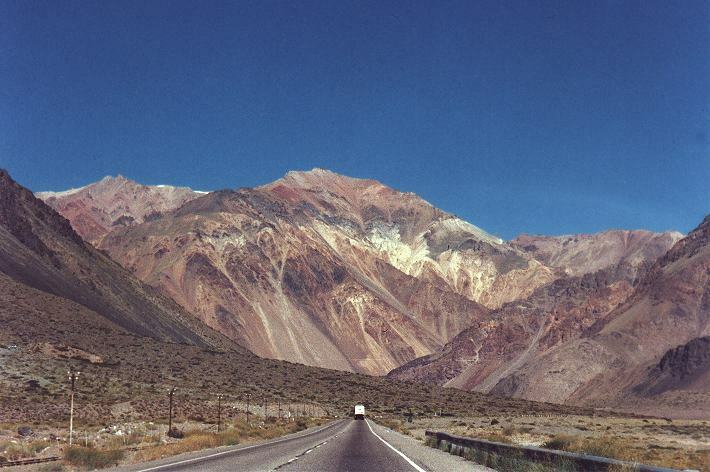 Our last journey was to get near the Aconcagua, the highest peak in America. The road is impressive. You always seem to be walking among giants. The Aconcagua can be seen from a particular place, but if you want to climb it, it could take several days, and a good physical condition. Many try. Near the mount, there’s a cemetery where the andinists are buried, those that can’t reach the top, for one reason or another, and die while trying. Close to the cemetery there’s an old hotel that was buried too, because of a landslide. You can visit it, and with the fascination we, twenty centurers, have for ruins, it’s lovely. 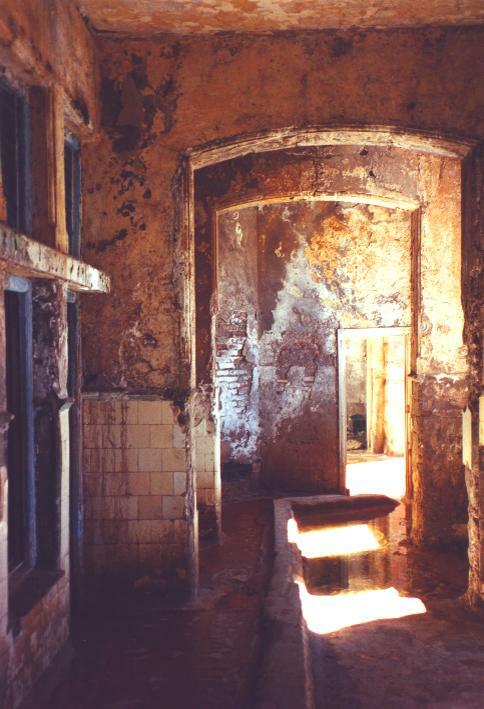 It’s all rust and rock, but in one time it was a hotel for the rich people, very exclusive, with hot spring baths and all. Inside you can see the rooms, and the sun enters through the windows making a rare impression. It’s like a ghost hotel. It’s called “Puente del Inca”, the bridge of the Incan indians, but I don’t know why. Few kilometers from there it’s the limit with Chile. We came back to Buenos Aires on the next day, full of sensations and totally satisfied.